David Copperfield is probably the most autobiographical novel by Charles Dickens. He uses many incidents of his childhood and early life to create a considerable fictional achievement. David Copperfield is also the novel that stands as a mid-point in Dickens' oeuvre--somewhat indicative of Dickens' work. This novel contains complicated plot structures, a concentration on the moral and social worlds, and some of Dickens' most wonderful comic creations. David Copperfield is a broad canvas on which the great master of Victorian fiction uses his entire palette. Unlike many of Dickens' other novels, however, David Copperfield is written from the point of view of its titular character, seemingly looking back on the ups and downs of his long life. The story begins with David's childhood, which is an unhappy one. His father dies before he was born and his mother re-marries the frightful Mr. Murdstone, whose sister moves into their house soon after. David is soon sent away to boarding school because he bit Murdstone when he was undergoing a beating. There, at the boarding school, he meets a couple of boys who become friends: James Steerforth and Tommy Traddles. David doesn't complete his education because his mother dies and he's sent to a factory. There, Copperfield meets Mr. Micawber, who is later sent to debtors prison. At the factory, he experiences the hardship of the industrial-urban poor--until he escapes and walks to Dover to meet his aunt. She adopts him and brings him up (renaming him Trot). After finishing his schooling, he goes to London to seek a career and meets James Steerforth and introduces him to his adoptive family. At around this time, he also falls in love with a young girl, the daughter of a well-renowned solicitor. He also meets Tommy Traddles who is boarding with the Micawber's, bringing the delightful but economically useless character back into the story. In time, Dora's father dies and she and David can be married. However, money is very short and David takes up various other jobs in order to make ends meet including--like Dickens himself--fiction writing. Things are not well with a friend from home – Mr. Wickfield. His business has been taken over by his evil clerk, Uriah Heep, who now has Micawber working for him as well. However, Micawber (along with his friend Tommy Traddles) determines to expose the bad dealings with which Heep has been taking part and finally, has him thrown out, returning the business to its rightful owner. However, this triumph cannot be truly savored because Dora has become incredibly ill after losing a child. After a long illness, she finally dies, and David travels to Switzerland for a number of months. While he's traveling, he realizes that he is in love with his old friend, Agnes--Mr. Wickfield's daughter. David returns home to marry her. David Copperfield is a long, sprawling novel. In keeping with its autobiographical genesis, the book has a certain feel for the ungainliness and largeness of everyday life. 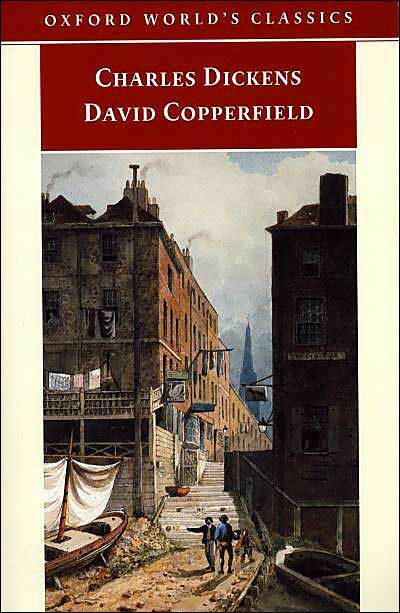 In the earlier parts of David Copperfield, the novel has all of the power and resonance of Dickens' social critique of a Victorian society that had very few safeguards against the mistreatment of the poor and, particularly in its industrial heartlands. In the later parts, we get Dickens' most realistic and touching portrait of a young man growing up, coming to terms with the world and finding his literary gift. Although it certainly portrays Dickens' comic touch to the full, it also has a seriousness that is not always apparent in some of Dickens' other books. The difficulty of being an adult, of marrying, of finding love and of getting on feel very real and shine from every page of this delightful book. 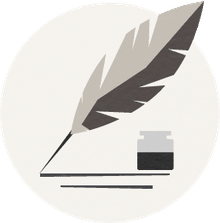 Full of lively wit and Dickens' characteristically finely tuned prose, David Copperfield is an excellent example of the Victorian novel at its height and Dickens' master of it. Popular (like so many of Dickens' works), it has deserved its sustained reputation through the twentieth and into the twenty-first century.